The picturesque market town of Woodbridge was the choice for our walk this month. I have visited many times but this was a first for Harry and Lily. 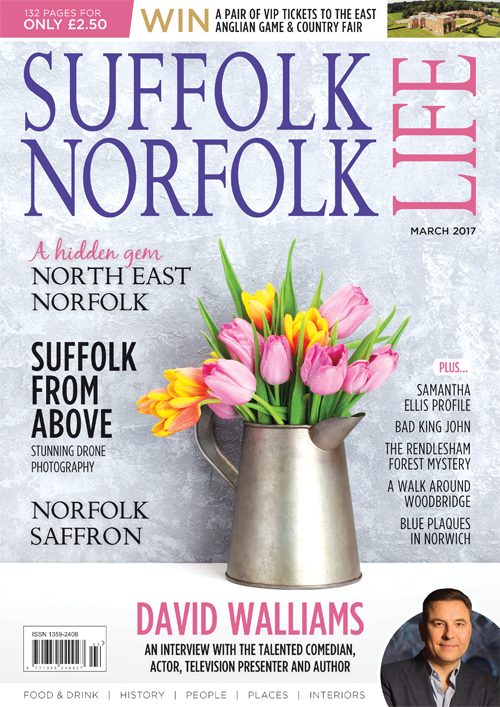 The town lies on the River Deben, and across the river is Sutton Hoo, where we enjoyed a walk last year. Woodbridge is a town full of heritage to be extremely proud of. 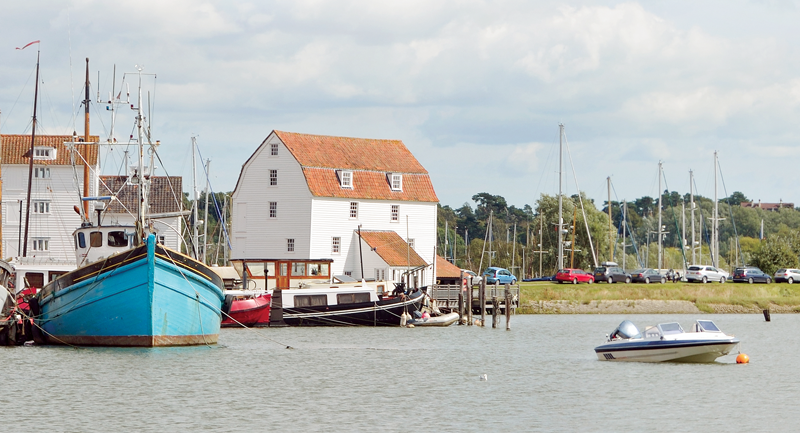 The River Deben is the home to the Woodbridge Tide Mill, which dates from 1170 and is thought to be one of the earliest examples of a tide mill in the UK. It was once owned by the Augustinian Priors for around 350 years until Henry VIII confiscated it. For the next 28 years it was in royal ownership. Queen Elizabeth I sold it to Thomas Seckford, and his family owned it for over 100 years, and he was followed by several private owners. By the 1950s it had become the last working tide mill in the country. However, in 1957 it ceased trading as a corn mill and closed. It sadly fell into a state of disrepair but with the help of the Heritage Lottery Funding it has been restored. The original pond that was once filled by the tide to power the wheel is now the Marina. We started our walk by parking at the station car park and we crossed the railway via the footbridge. By now the weather was taking a turn and so instead of carrying on to the Ferry Quay we actually doubled backed and headed back to the car until the rain passed. After a short period it was take two and with a slightly more promising looking sky we retraced our early steps. Harry and Lily looked a little bewildered but with the promise of a squeaky toy when we got home they seemed eager to press on. We took in the views of the boats and their curious names. Since my last visit I didn’t appreciate just how much new development was taking place. On the opposite side of the river is a tidal attenuation barrier. I must admit I didn’t know what this was!